Rinse and wash rice.Soak rice in water for 30 minutes. Cook rice in 1 cup of water and fluff it up with fork. Add oil and saute ginger garlic paste. Add chopped onion,capsicum,carrot,beans,peas and saute well each of vegetable. Serve it with any manchurian. The first dish I learnt from mom and this would occupy our menu in almost every family gathering.This was the first dish I cooked for my family post wedding. A very rich and tantalizing recipe of mom. Wash and soak the rice in warm water for 5 minutes. Add ghee to a kadai and saute the green chilly+garlic+ginger paste. Add the soaked rice after draining the water to this when the raw smell of the paste vanishes. Add the shallots,carrot,potato,beans one after the other and saute well. 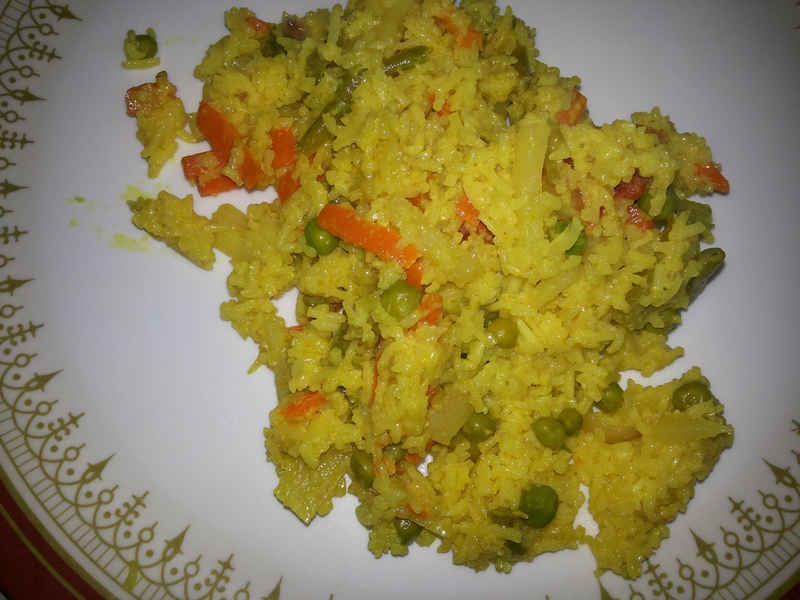 Instead of seeraga samba rice ,you can add basmati rice too. Adjust the amount of green chilly to your taste. Cut the vegetables as cubes to give a better look. You can also add cauliflower,broccoli. Serve it with any raitha or manchurian. 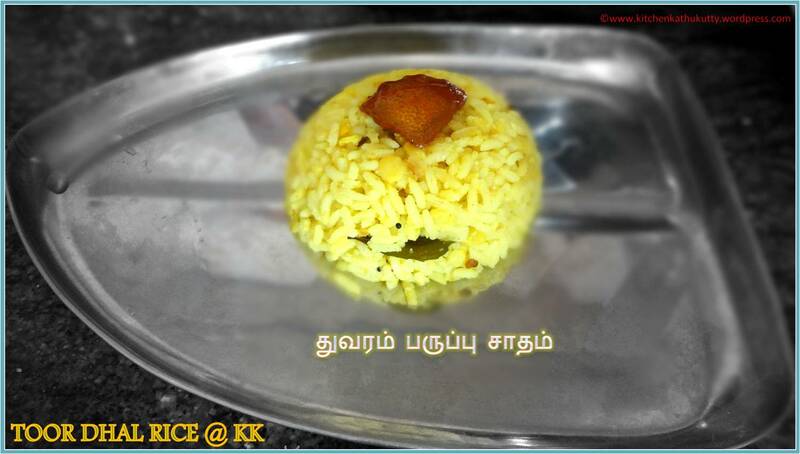 A quick to do rice variety with rich calcium.Kids will definitely like it. Sesame is a rich source of calcium and this variety rice is very easy to do but rich in nutrition. Do try for yourself and let me know the outcome. Check out information on when and how to offer SESAME to babies here. Cook rice and cool it . The rice must not be over cooked. Dry roast sesame in a kadai. Cool and run it a mixer for a minute. Add oil in a kadai and temper mustard seeds,urad dhal,red chilly and curry leaves. Do not dry roast sesame very deep. It will turn bitter. When powdering sesame,run the mixer the carefully or else the mixture will not be in powder format. Adding little palm jaggery while powdering sesame will enhance the taste. For babies below one year skip salt. Adjust chilly as per your taste. Another traditional dish from my family. A must have dish for pregnant and lactating women in our family. It can be a baby food but ensure to increase water used for cooking so that it gets mashed well.A very healthy dish for teenage girls and women. Eat once in a week and reduce the chances of bone illness in late 40’s. An ideal baby food above 8 or 9 months. It helps in building strong bones and healthy weight gain in babies. 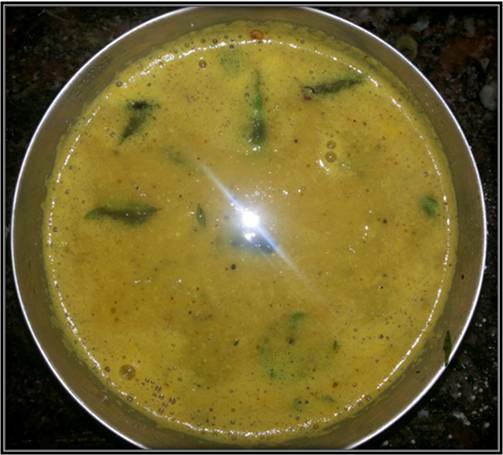 Refer urad dhal mix for 6 months baby here and idly recipe for 8 month plus here. 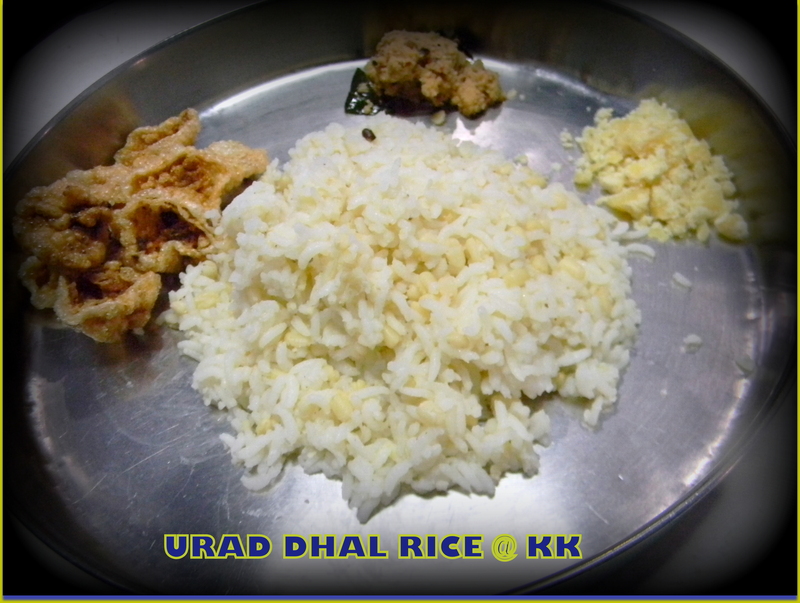 1.Wash and soak rice,urad dhal for 10 minutes. 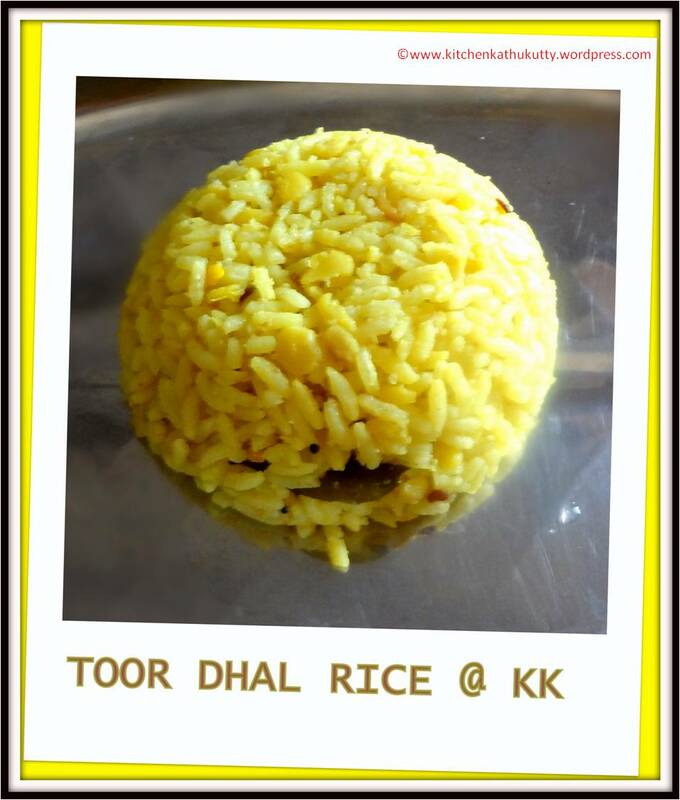 2.In a cooking vessel, add rice and urad dhal. 3.Place it in pressure cooker and stir well by adding garlic,coconut,salt,turmeric powder with 3 cups of water. 4.Let it cook for 3 whistles. 5.As the pressure gets released,mix well. This also goes well with curd and jaggery. Add a spoon of ghee in step 3 for enhanced taste. Using black urad dhal(with skin) enriches the nutrient value. The water quantity is same as the usual water measurement you use daily to cook rice. I use the ratio of 1:2(rice:water). Use 1:3 if you are making it for babies. The number of whistles depends on your pressure cooker. If you using black dhal,soak for 3 hours and cook . Always have a word with pediatrician before introducing new foods for babies. Black dhal can be used for babies above one year. Moong dhal and urad dhal are known for improving the weight of babies in an optimal and healthy way. It is a store house of folic acid,calcium,magnesium,essential fatty acids and protein and hence highly recommended for women. It is a must have during puberty , monthly menstrual cycle ,pregnancy and lactation in our family tradition. Hoping to post ulunthu kali soon. It is an energy booster and its anti-inflammatory properties helps you in keeping away from joint pains. It improves digestion and hence it is used in every dish during tempering. It helps in improving bone strength and uterus strength. There is even research evidence suggesting that diets containing high contents of urad dal prevent Alzheimer’s and Dementia. So it is good for even the older generation.